Give your birthday girl or boy a fun way to practise vocabulary. 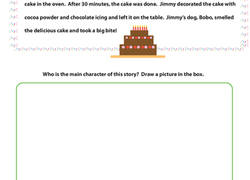 This worksheet has 18 birthday words hidden in the letter jumble. How many can your kid find? Birthdays are full of fun, friends and food! But can you spell and say them all? 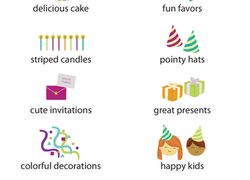 Teach your little one about consonant blends with a cute birthday sheet.